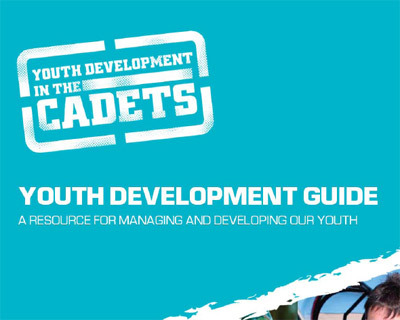 The Australian Defence Force Cadets (ADFC) is a youth development organisation with more than 2,500 adult volunteer instructors around Australia working with approximately 25,000 Cadets. Cadet staff wanted support to operate more effectively in the contemporary environment, so a practical guide was developed containing comprehensive information and strategies to create and maintain an effective youth development environment, including the principles of working with youth, the stages and features of adolescent development, and how to best manage adolescent issues and incidents. The guide plus an activity book and template were made available both electronically and in print.